Orange Hand Car Wash has been in business since 1990 and was the first 100% Hand Car Wash on Chapman Ave, in the city of Orange California. On March 2014 we became a family owned and operated business, and have made many new changes to the business. We are a full service 100% Hand Car Wash, that also offers full detail services that focus on exterior services (Clay Bar, Hand/Mechanical Wax, Polish/Buffing, Wet Sanding, Headlight Restoration, Paint Restoration, and more). 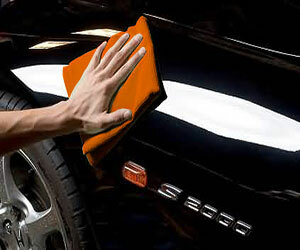 We also offer interior cleaning, and conditioning of all types of vehicles. We service cars, trucks, boats, RV’s, limousines, motorcycles, jet skis, trailers and more. We pride ourselves on having one of the widest tunnels in the area that will accommodate larger vehicles. We also offer no wash tunnel options, this option are for customers with modified/lowered cars/trucks that prefer a no tunnel wash (availability varies) . Dent Removal services are also available by appointment. Our Window TINTING Team is ready to give any vehicle a new look. We have many years of experience. We offer the best window film and combine that with the best installation techniques. You can choose from many Ceramic and Standard window film shades. All our film comes with a lifetime warranty. For more information about the services we provide, please visit our dedicated SERVICES page or give us a CALL today! You can also get more information about the quality of work we provide by visiting our YELP page.